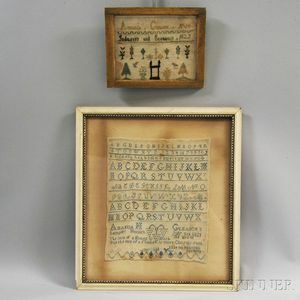 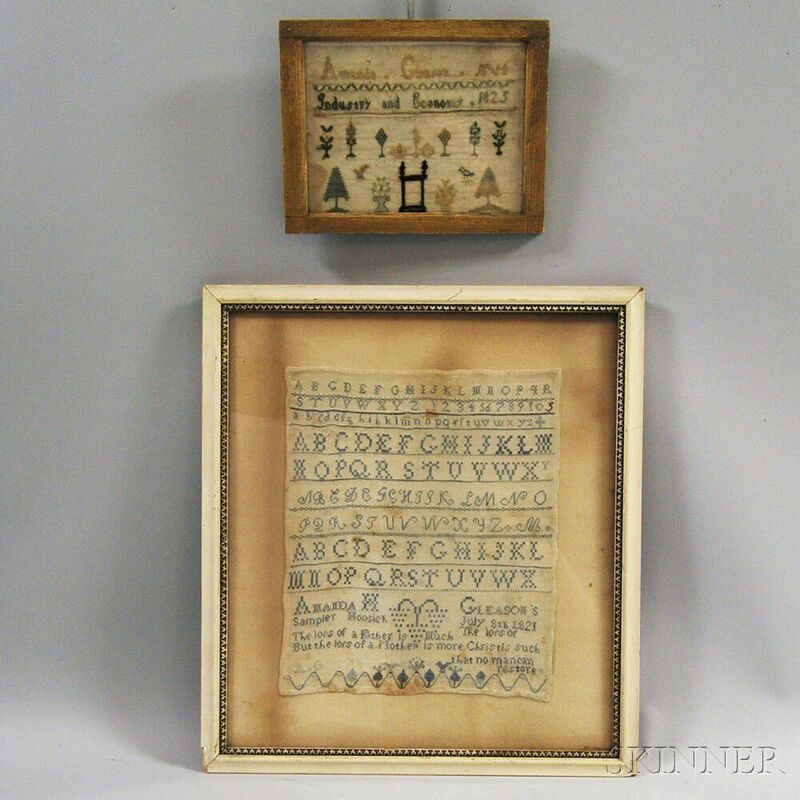 Two Framed Needlework Samplers, Amanda Gleason, Hoosick, Massachusetts, 1821 and 1825, a small sampler with silk threads on wool gauze, reading "Industry and Economy 1825," depicting trees and birds, and one with blue wool threads on linen with nine rows of alphabets and numbers over a pious verse, ht. to 13, wd. to 11 in.